Martha Ford joined the firm in 2010 and became a Shareholder of the firm January 1, 2013. She is a graduate of Florida State University in Tallahassee, Florida, with a Master of Accountancy degree specializing in tax accounting. Martha has been a Florida Certified Public Accountant since 2004. Martha has an extensive background and experience in public accounting. Martha’s experience includes a diverse client base, including legal firms, medical practices, financial organizations, estate and trusts and high net worth individuals. Her focus at FRSCPA, PLLC includes an emphasis on the McDonald’s system and franchisee owner/operators. Martha is a frequent speaker for the Florida and Raleigh McDonald’s regional events. She has a special interest in assisting owner/operators with Succession, Estate and Wealth Planning, as well as Taxation. Martha is also an active participant in the annual NFCA (National Franchise Consultants + Accountants) meetings. In 2013, she became an affiliate member of the W.O.N. (Women’s Operator Network). Martha is an active member of the community. 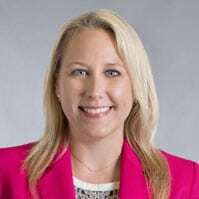 She is a current and active Board Member of the West Coast Chapter of the Florida Institute of CPA’s, assisting with the monthly continuing education seminars held by the chapter. Martha resides in St. Petersburg with her husband, Ryan, and children, Connor and Cecelia.